Helen is playing a couple of all ages, intimate gigs over Winter. Expect a cosy atmosphere! 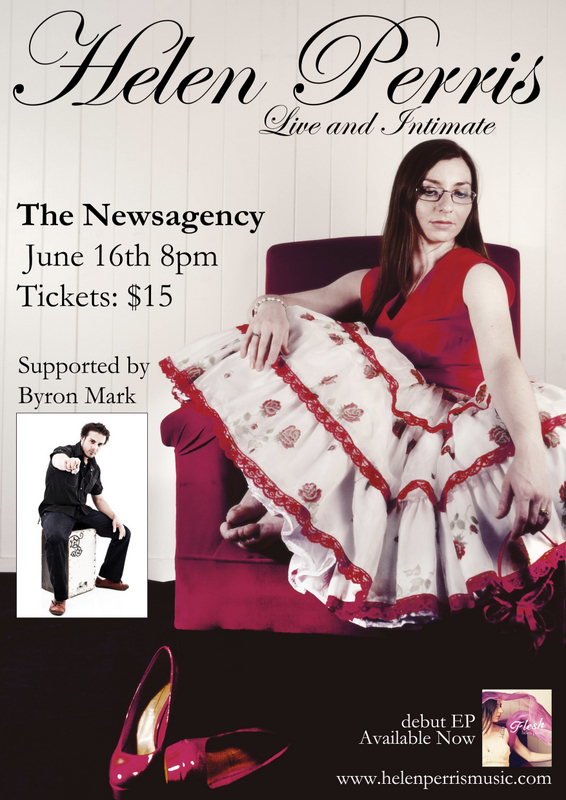 16th June at The Newsagency, Marrickville from 8pm with special guest Byron Mark (solo). Tickets $15 . 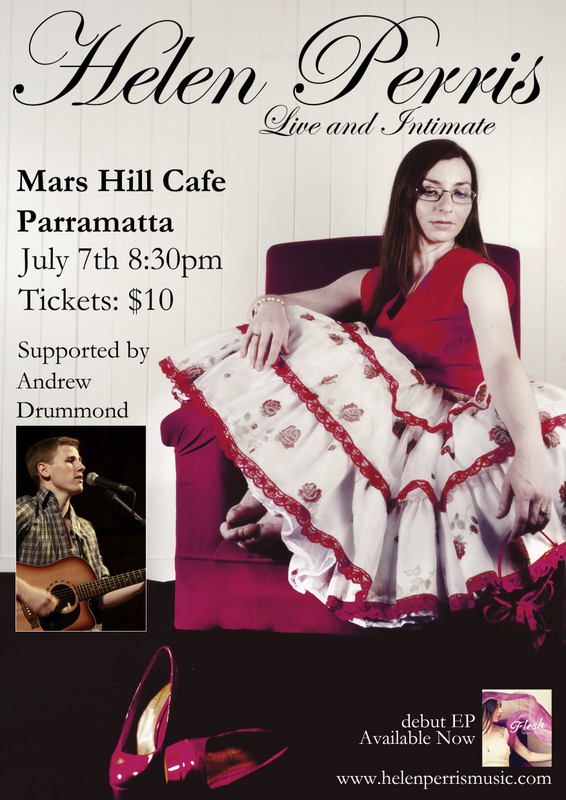 Venue is BYO and tickets are extremely limited so book fast! 7th July at Mars Hill Cafe, Parramatta from 8:30pm with special guest Andrew Drummond. Tickets $10. Food & drink available at the venue. Get in early to get a good seat! 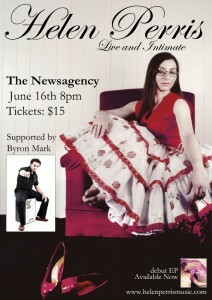 Helen is also supporting Terra Lexus on 8th July at Valve Bar, Tempe. Gig starts at 7pm and Helen plays from 7:50-8:30. Tickets $10 but you must say Helen’s name at the door for entry.